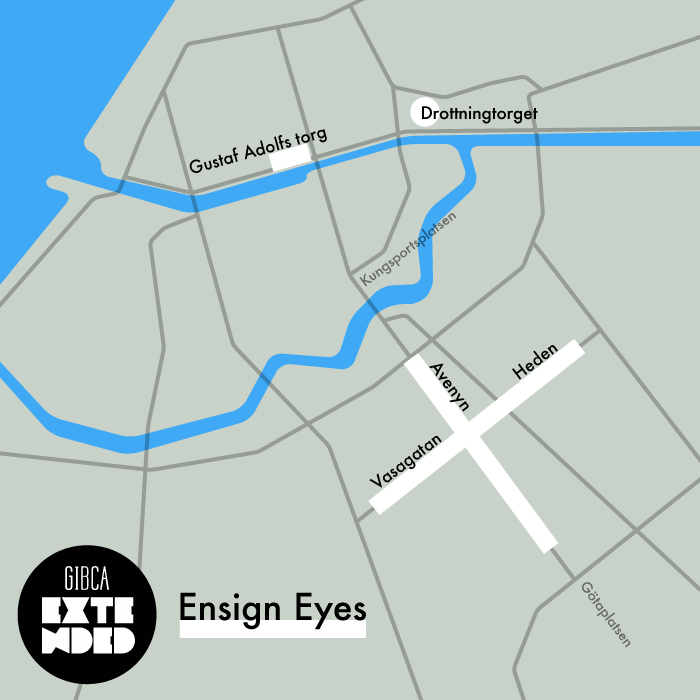 Martha Persson and Marja Knape produced the work Ensign Eyes especially for GIBCA Extended. 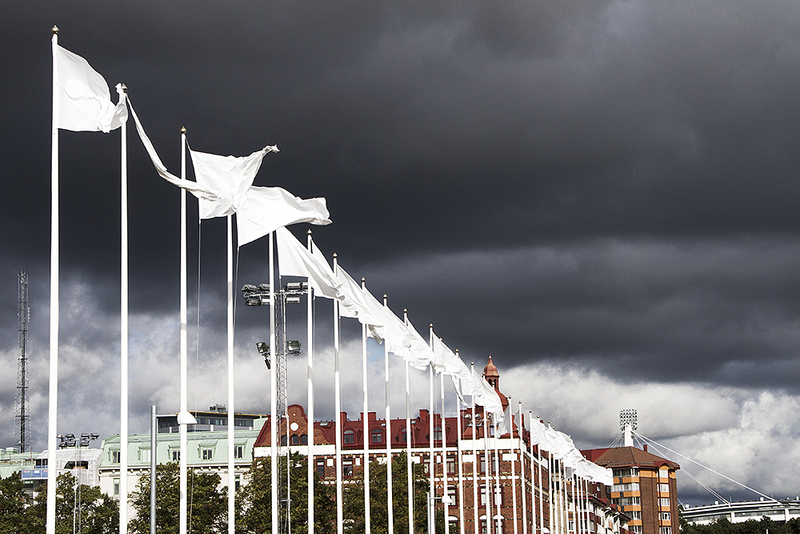 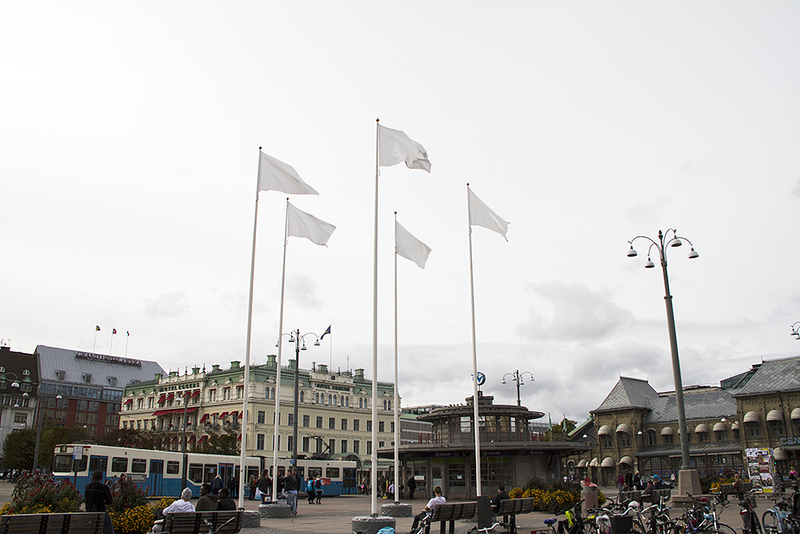 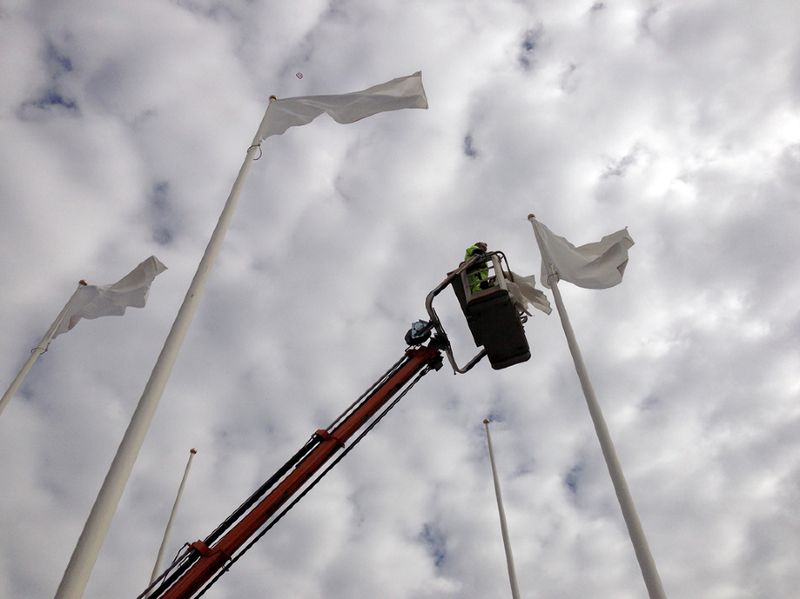 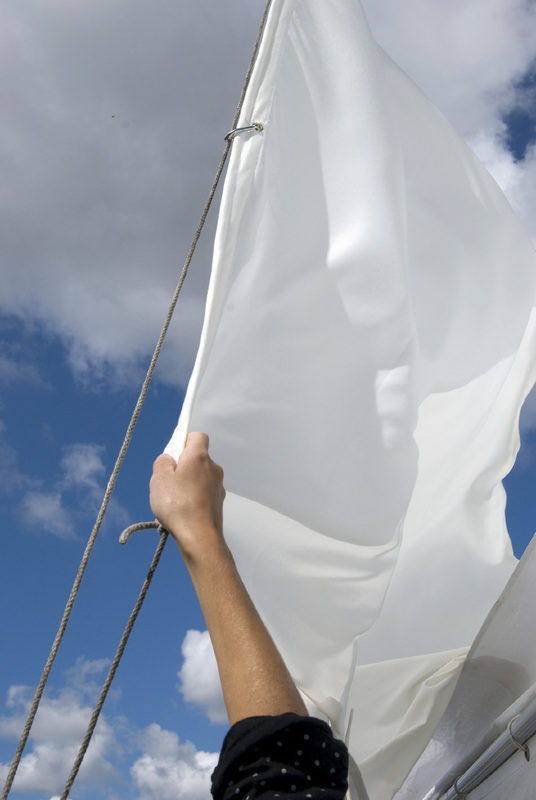 The work consisted of about 100 white flags placed on the city’s flag poles. 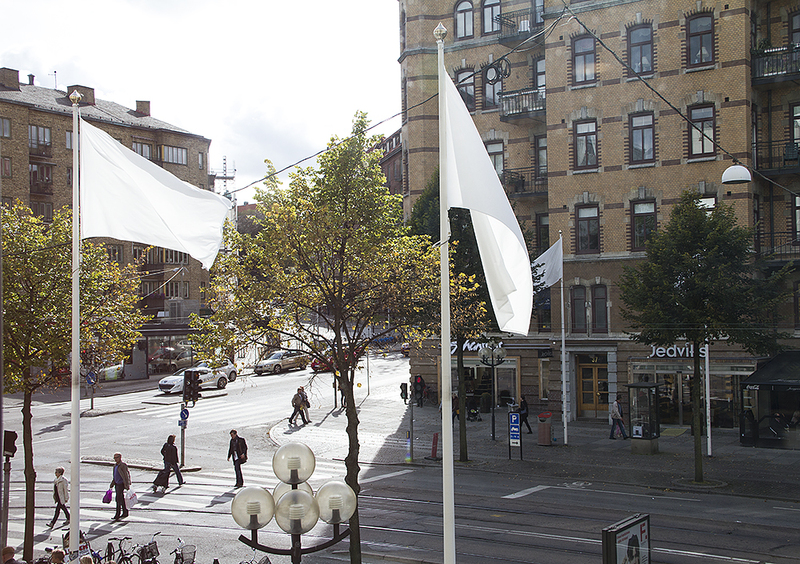 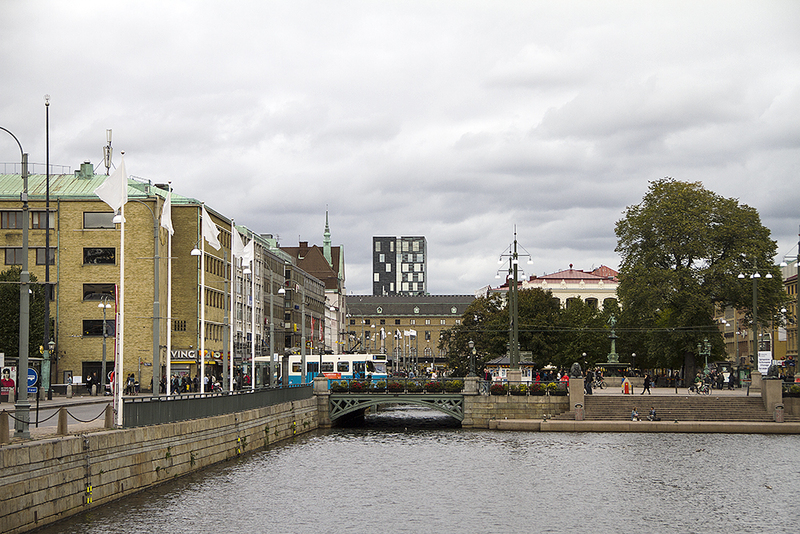 Along with the viewer and the residents of Gothenburg, Persson and Knape wanted to activate the urban space by creating a possible idea of ​​capitulation and peace.